Knitting is a fun, relaxing hobby — until you meet the devil in the details! What kind of cast-on should you use — firm and stable, or flexible and stretchy? Will your edge stitches be hidden by seams or bands, or is the evenness of your cuffs at stake? Are you ever going to be able to figure out how to attach this sleeve without any funny bumps popping up at the shoulder? 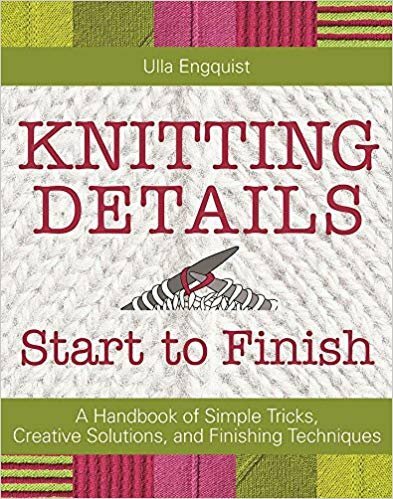 Knitting Details, Start to Finish answers the questions you never even knew you needed to ask.